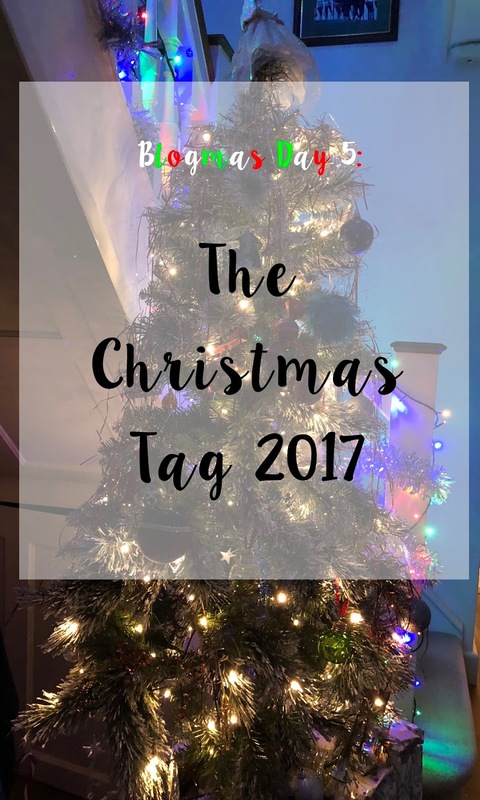 I was perusing Abbi's blog earlier this week and stumbled upon her Christmas Tag post with some really interesting questions. I'll answer them below and tag people who I would like to answer the questions on their blog. Without a shadow of a doubt it's got to be Elf! Although I don't know what channel is showing it this year so I don't know if I'll get to see it. It makes me laugh so much even though I'm not a child anymore and my family & I always watch it at Christmas time, it's the perfect festive comedy! 2. Where do you usually spend your Christmas? At home, with my twin sister Sarah, Mum and Dad. There's about five that are my favourite, but topping my list would have to be Mary's Boy Child by Boney M. The steel pan drums bring a different flavour to a Christmas tune. Sort of. For the last few years instead of a stocking, we've had little Christmas Eve bags of little items that we might find useful or humorous. This year my Mum came up with a great idea - we buy each other a present that is unique and thoughtful, pertaining to the person that's under a tenner. But it can't be chocolate, alcohol or any other standard Christmas present and there's a prize for the best one. I can't wait to see how it turns out. Both. We have a main Christmas tree that's fake, but at Surrey Wildlife's Pine & Dine this year, I cut down a small and real pine tree that we use outside, decorated with tinsel and cute baubles. 6. What is your favourite holiday food/sweet treat? 7. What is the best Christmas gift you've ever received? I've had lots of great gifts, but the best one would probably have to be the iMac I received in 2011. It was a total surprise and I definitely treasured it until I got a MacBook in 2014. I've been on a few Christmas holidays that were lovely, but I would love to visit New York - the decorations and festive spirit would be palpable. 9. Most memorable holiday moment? There's honestly too many to name. 10. Do you make New Year's Resolutions? Do you stick to them? Like everyone I make a New Year's Resolution or two, but don't get past week two of sticking to it 😂 I've learnt from my lessons now and won't make any because I know they're a lost cause. 11. What makes the holidays special for you? Spending time with my family and us all enjoying the festivities together. Also we all finish work on the same day so will be happy about having some time off. 12. When do you start getting excited about Christmas? I used to be so excited for Christmas that I would be psychically ill, but I'm a bit more tame now. As I've been working since September I haven't really had time to get excited about but I think when I finish work I'll be able to get into the full swing of things. I reckon most of you bloggers already have all your Blogmas posts planned out so I'm not going to tag anyone specific. I invite anyone to answer these questions and let me know your favourite Christmas things.